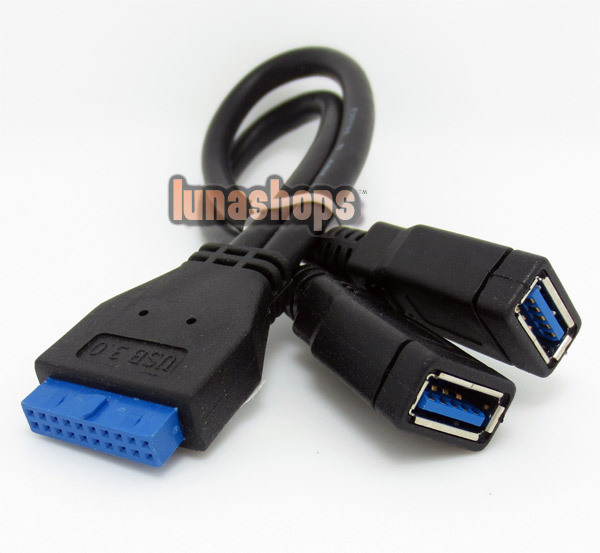 This USB 3.0 cable features a 20-pin USB 3.0 motherboard header connection on one end, breaking off into two separate USB 3.0 A-Type female ports on the other end of the cable. Adds 2 USB 3.0 Ports directly to the Motherboard. Add Two USB 3.0 ports to your motherboard's 20-pin Header. 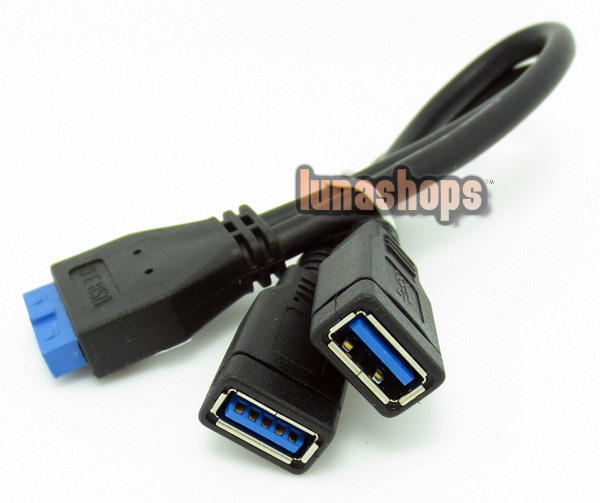 Convenient solution for connecting USB 3.0 devices to the motherboard. 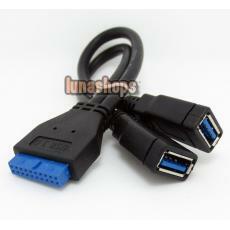 Fast, easy & economical way to add USB 3.0 ports.